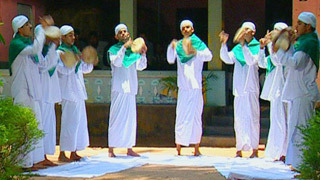 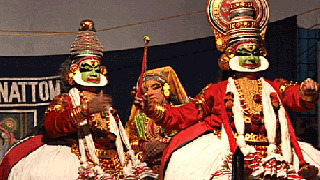 Duffmuttu is a group performance popular among the Muslims of Malabar. 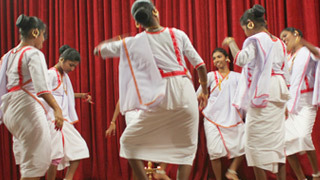 Duffmuttu is staged as a social event during festivals and nuptial ceremonies. 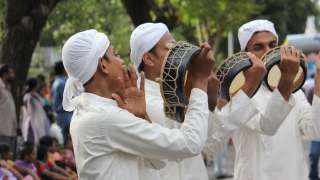 The artistes beat on a shallow round percussion instrument called the Duffu. 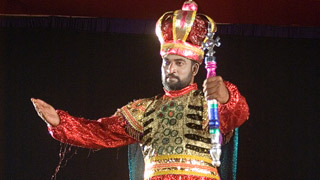 The leader of the group sings the lead, while the others form the chorus and move in circles. 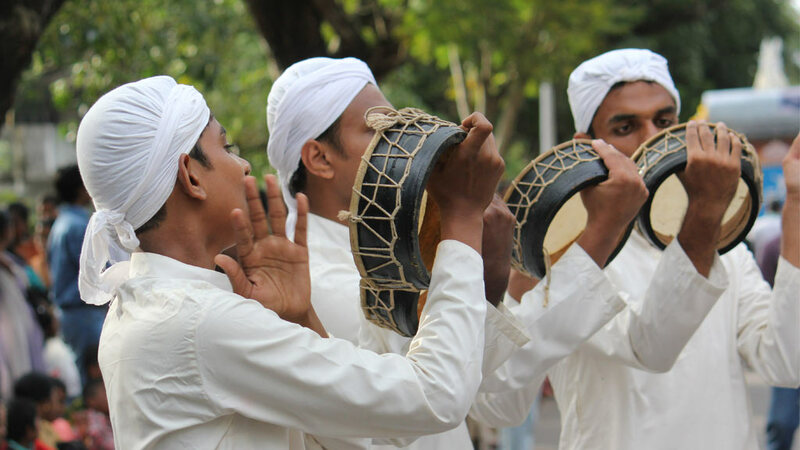 The songs are often tributes to martyrs, heroes and saints. 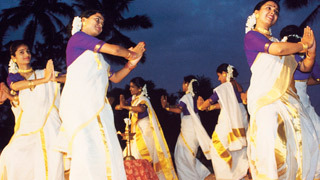 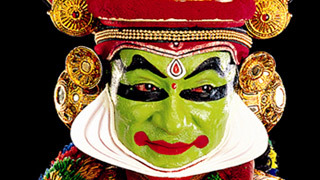 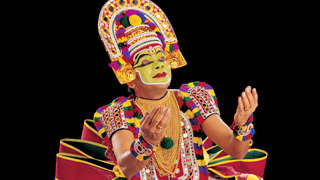 Duffmuttu can be performed at any time of the day and has no fixed time limit.